Sigh. I’m afraid you’re about to hear a case of Humanity Being Garbage™. 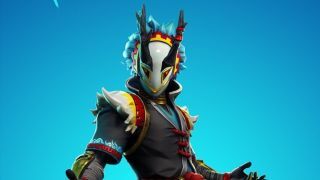 That artist Ruby Ramirez who claimed that Epic Games stole her idea for a skin and used it in Fortnite season 8 was lying about the whole thing all along. Twitter user DingDongVG spotted the fakery, as Ramirez’s link to her DeviantArt page was edited to make it appear as if she had uploaded a drawing in September 2018 that looked strikingly similar to the Taro skin. C’mon. That’s just not cool. Ramirez’s original Facebook post has disappeared, perhaps as she’s been contacted by Epic representatives about the legitimacy of her claim. This could be passed off as an April Fools’ joke in incredibly bad taste, but really the artist might just have taken her cue from those who are suing Fortnite for using their dances without permission (although Alfonso Ribeiro, who played Carlton in the Fresh Prince of Bel Air, has been told that a dance can’t be copyrighted by the US government). Perhaps she wanted some kind of monetary compensation, or just some internet fame, but one thing is for sure: it was a very sucky thing to do. When there’s the very real issue of artists having their work stolen and sold for profit on t-shirts, posters and such, having someone lie about experiencing the same problem just makes a mockery of serious concerns experienced by creators across the globe. *Gets out bell* SHAME. SHAME. SHAME. If you need cheering up after that dismal story, rest assured there is still good in the world: gamers have been donating to the Mozambique flood appeal thanks to Apex Legends, and watch the video below to look out for the games you have to play in 2019.